Here are some tips for making your college dorm room as familiar as your family home and as comfortable as your favorite pair of jeans. First things first: this is not another one of those “dorm room makeover” articles. You may not realize it, but your surroundings, even the way you decorate your dorm room, can play a huge role in your college experience. It’s hard to control lengthy class reading lists, looming term papers, and overpopulated 101 classes, but you can control your dorm (well, as long as your roommate is okay with it). Whether you live in a dorm, a frat or sorority, or an off-campus apartment, your room should be your sanctuary during the tough times as well as the good ones. So take control over where you live in college—it just might affect how you feel and how you function, academically and socially. 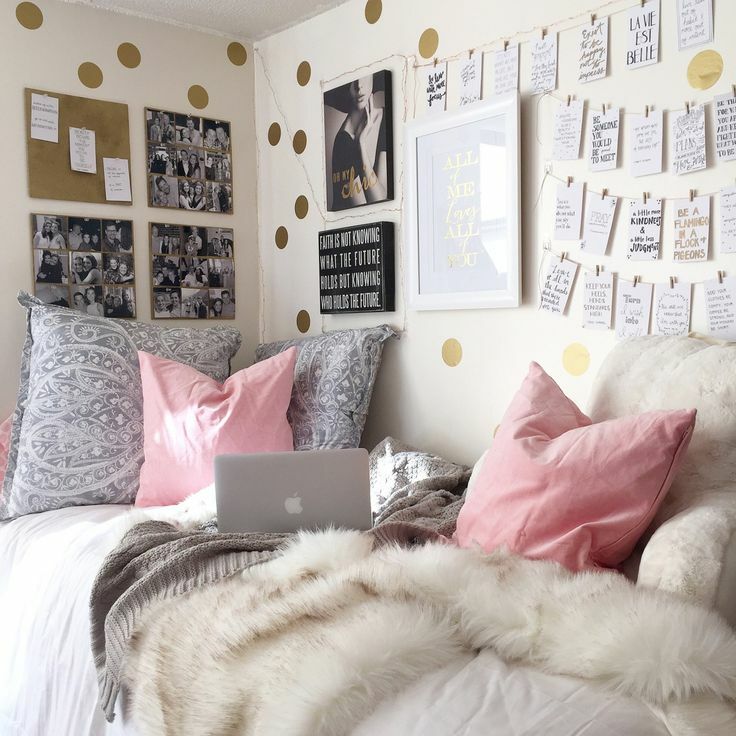 So, without further ado, here are nine ways to make your college dorm feel more comfortable and homey. Define what you want out of your space. What words describe how you want to feel in your dorm room? Keep those words and goals in mind as you make changes that shift the emphasis onto you want to feel, instead of how you want your room to look. Have your roommates do it too! Sleep is critical, so make sure your bed doesn’t get in your way. Try adding an egg crate foam topper or spend $10 for a better pillow. It’s worth it. Bring a pillowcase, blanket, or comforter from your old room for a bit of home-grown TLC. A rug underfoot makes getting up in the morning just a bit better, especially if you have a cold, hard concrete floor in your dorm. Even an $8.99 bath mat can work wonders, or you can go bigger for more comfort. Claim your wall space in a big way! How about a flag of your home state or country, a collage of posters, 8” x 12” photos, or a patchwork of sarongs or tie-died flat sheets? You can do so much with your dorm room walls—you might be surprised! Download some of favorite faces and places onto a digital frame. Placed on a night table or shelf, it’ll connect you to past memories and allow new friends to see another side of you. A small corner of your room can become your “go to” place to chill out or unwind after a rough day. Options abound at yard sales, parents’ attics, and consignment stores. Music is the fastest and cheapest form of relaxation transportation! Ask friends from home for their favorite songs and/or albums and make a compilation so you can all easily return to shared memories. Set up playlists to put you in different moods—for studying, exercising, relaxing, or partying. You can visit ComfortLivingbyChristine.com to download two free essential tools for balanced living to create a lifestyle that offers comfort wherever you may be, connection with others as well as yourself, and pure joy.